As Marvel moves away from developing content for Netflix, it makes a big move toward Hulu by announcing no less than four new animated series aimed at adults, along with a crossover special with a name that may or may not be a passive-aggressive jab at the streaming service. • Tigra & Dazzler is a story about two woke superheroes and best friends, Tigra and Dazzler, as they fight for recognition among powered people who make up the eight million stories in Los Angeles. Writers Erica Rivinoja and Chelsea Handler serve as executive producers. No synopsis was listed for The Offenders, but the project is an animated special that will cross over these four series. With the continued support of original Marvel content for the platform, it is likely that Runaways will be renewed for a third season at Hulu. The development of these shows may reveal why FX’s animated Deadpool comedy was cancelled; if Marvel had their own slate of adult-skewing content planned, then they likely would want it all in one place. With FX being expected to produce new content for Hulu, perhaps that show may see the light of day there instead of on broadcast, after Marvel completes its first wave of animated content for Hulu. 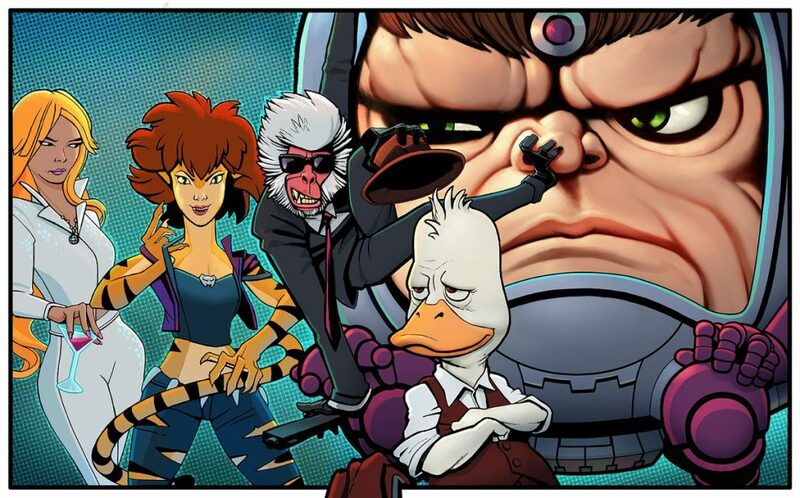 Howard the Duck, Hit-Monkey, M.O.D.O.K., Tigra & Dazzler, and The Offenders are all being developed for Hulu.